House Democrats are pushing an effort to provide unaccompanied minors detained while illegally entering the U.S. with government-funded lawyers. The Fair Day in Court for Kids Act, introduced by 54 House Democrats — led by Rep. Zoe Lofgren (D-CA. ), Rep. Luis Gutiérrez (D- IL), and Lucille Roybal-Allard (D-CA) — would require the government to fund and appoint lawyers for unaccompanied minors and other “vulnerable” individuals facing deportation. The legislation, if passed, would require the government to appoint lawyers to children and “vulnerable” immigrants such as people with disabilities, and victims of violence and abuse. It would also require the government to institute legal orientation programs for detained immigrants, implement a case management pilot program to increase court attendance, and require DHS to submit reports about the number of individuals granted counsel. House Democrats introduced the legislation late last week. Senate Democratic Leader Harry Reid (R-NV) and Senate Democrats introduced similar legislation in the Senate earlier this month. The legislation comes amid an ongoing run on the U.S.-Mexico border. 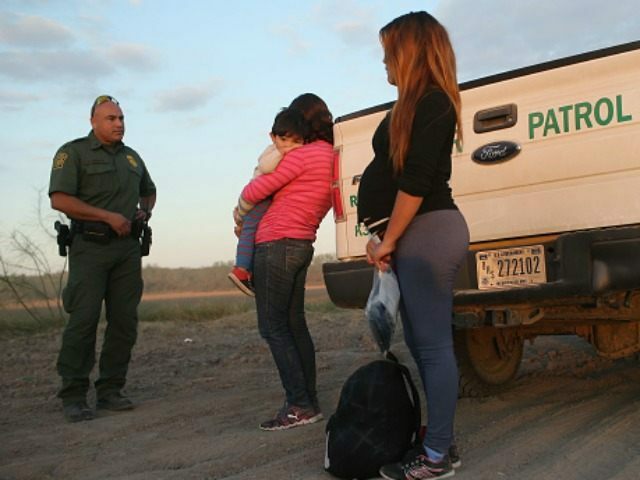 Hundreds of thousands of unaccompanied minors and family units from Central America have entered the U.S. illegally in recent years. While each of the new arrivals are required to appear for asylum hearings almost none actually appear. The Department of Homeland Security has made an effort to remove a fraction of the new arrivals with orders of removal, most remain in the U.S.
Republicans have blamed the Obama administration’s lax immigration enforcement efforts and amnesty programs as a draw for the illegal migration while Democrats and activists say violence in Central America is pushing the migrants northward and as such the migrants should be afforded special protections.